Our goal is to expose the reality, both good and bad, of doing business with top CRM (Customer Relationship Management) vendors and help you analyze, compare and rate their CRM software applications. We also provide company history and insights into the philosophy that drives their business decisions. Our objective is to provide a CRM comparison that will bring clarity regarding the various features, technologies and issues surrounding each vendor under review. The report results are based on the experience and research of seasoned practitioners using systematic processes. Our analysis should help you avoid unsupported claims made by the vendor and get to a legitimate short-list quickly. With over 100 CRM software vendors each competing for attention, trying to decipher the rhetoric from reality can exhaust a CRM evaluator. 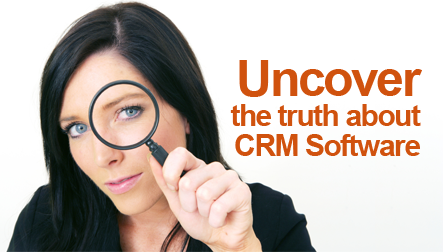 Our CRM comparison reports cut through the marketing hype; giving you more time to analyze the truth about each CRM vendor and enabling you to ultimately make the best purchase decision.